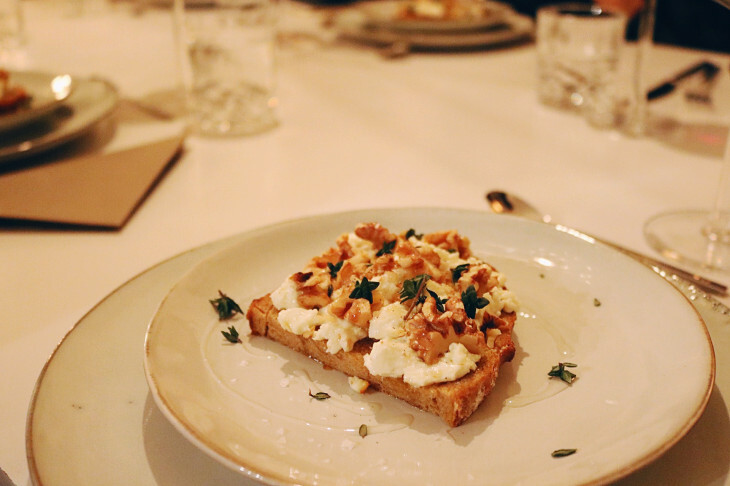 These hot and crispy toasts are a perfect starter or a luxury breakfast. I’m always amazed how something so simple can be so incredibly good. 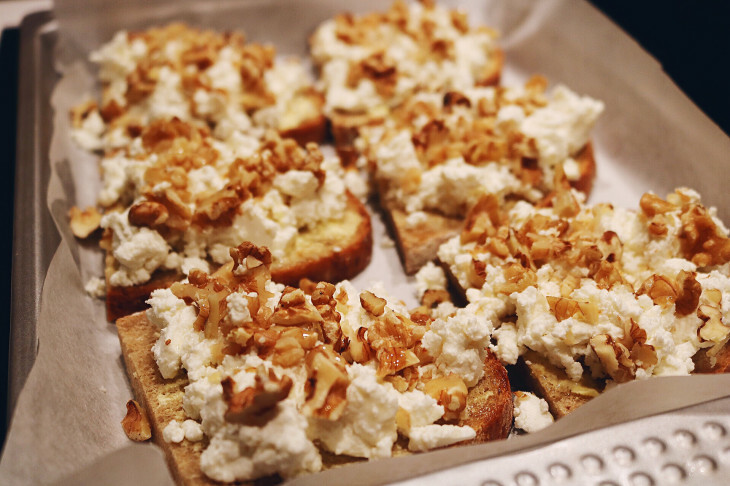 Spread some butter on the bread slices and then crumbled chèvre cheese. Sprinkle with walnuts and drizzle some walnut oil. 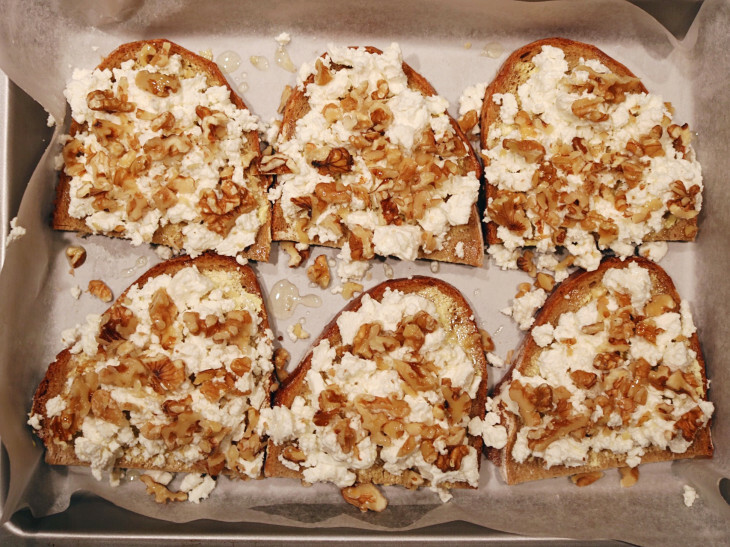 Bake in the oven until the nuts are toasted and the cheese is hot, about 10 minutes. Place each toast on a plate. Season with sea salt and pepper. 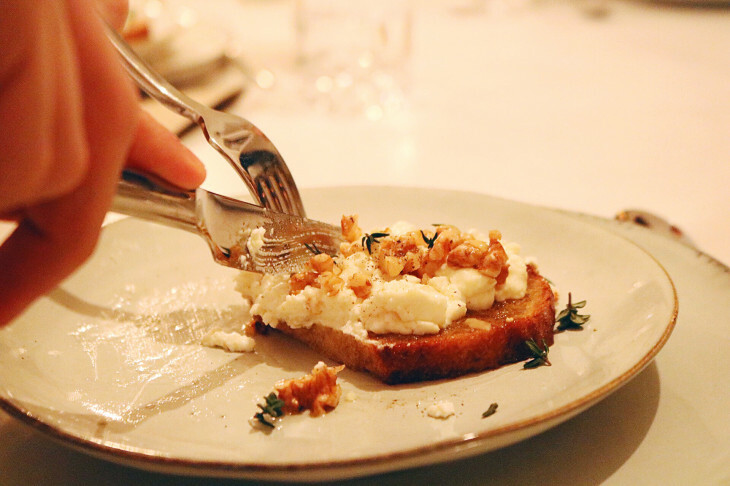 Drizzle each toast with honey, then sprinkle with fresh thyme leaves and serve.